Have you ever seen a celebrated poet recite an ode to a sheep’s stomach filled with “paunch, tripe, or thairm”? No? Then you haven’t had the pleasure of partaking in Burns Night, a very typically Scottish holiday to celebrate that countries greatest poet, Robert Burns. As a British Council approved school, we also want to impart British values to our students and make them feel a part of their adopted country. Scotland is often given short shrift in the British family, but Ingla does no such thing when it comes to British culture. Scotland is “weel…wordy o’ a grace” (well worthy of a grace). 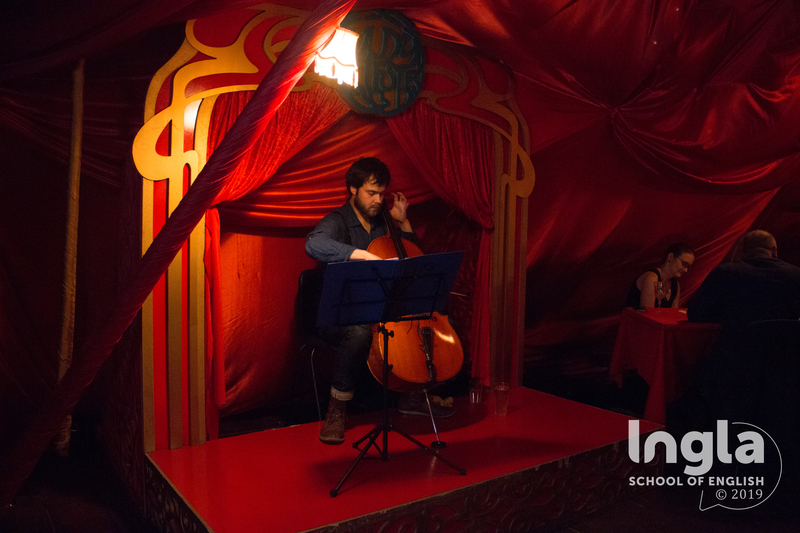 To follow, we were serenaded by traditional Scottish tunes on cello. It was a quiet and refined backdrop to a classy evening. 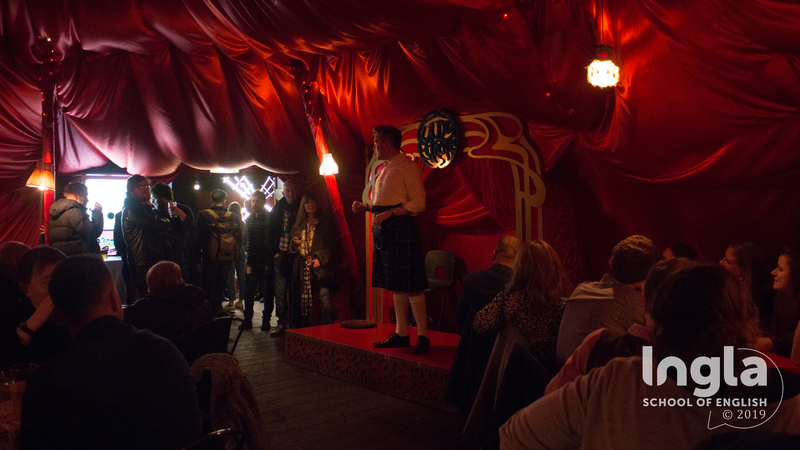 The evening culminated in the essential Address to the Haggis, including a brief backstory of how the poem came to be. 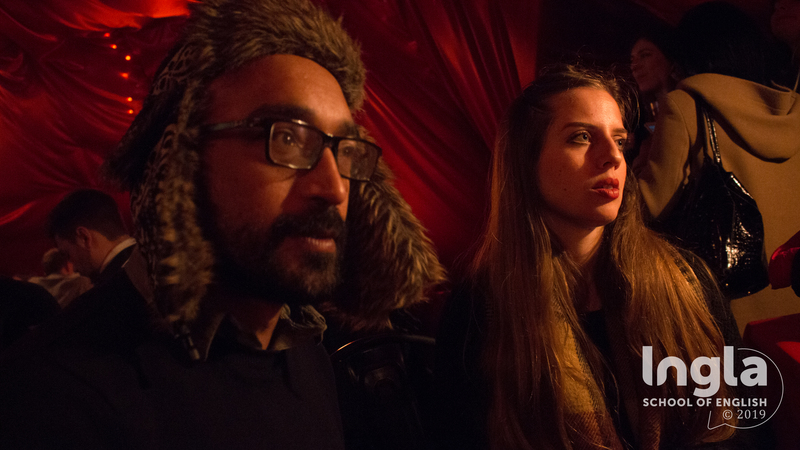 As strange as it might seem, this improvised ode to a plate of internal sheep’s organs proved to be a rousing crowd pleaser. Most people don’t even know what thairm is, so it’s completely understandable. Burns was a master of improvisation and a wordsmith without equal. 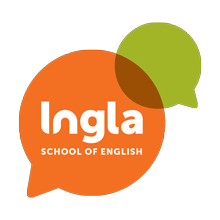 As an English school, Ingla admires this kind of skill and wishes to inspire its students to master the English language to its highest possible peak. 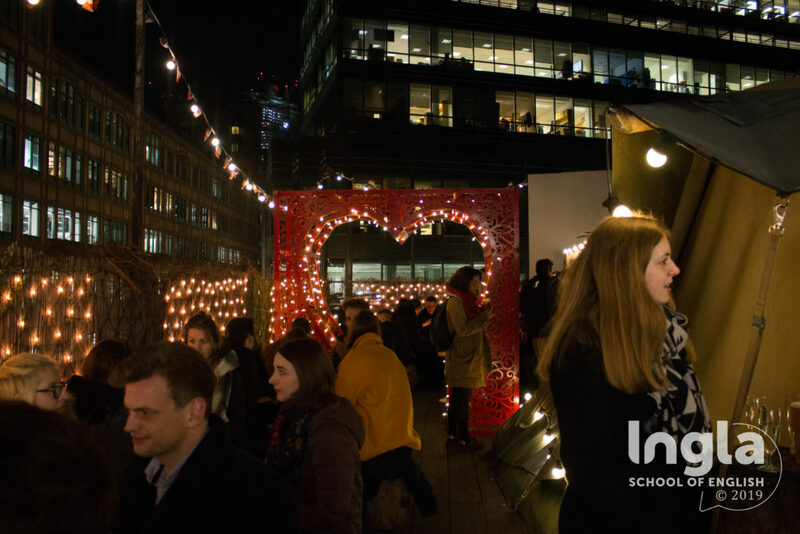 The scene for this year’s Burns Night festivities was the gorgeous roof terrace at the Queen of Hoxton, a trendy pub/nightclub in one London’s hippest neighbourhoods. The evening started with rounds of Scotch and a plate full of haggis and neeps. 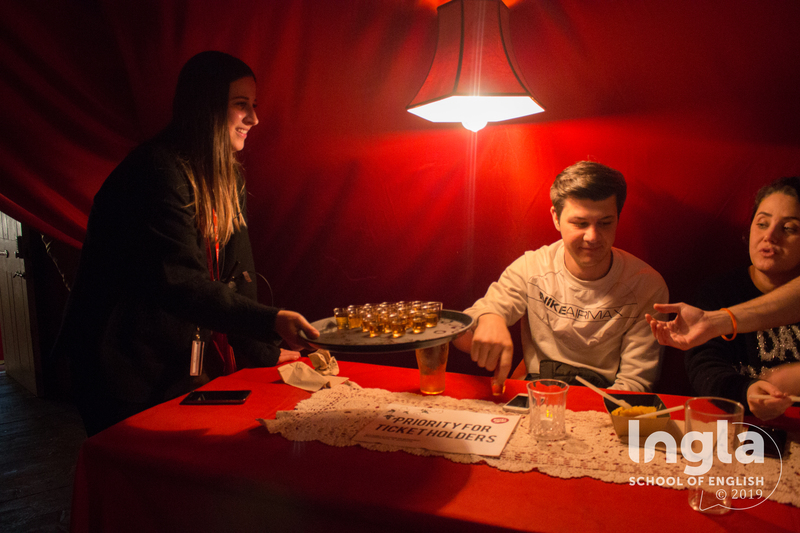 Our students had never seen or tasted anything like this, to say the least. There’s nothing that gets people off their feet than a great wordsmith in full flow, something which proved to be a great lesson to our students. 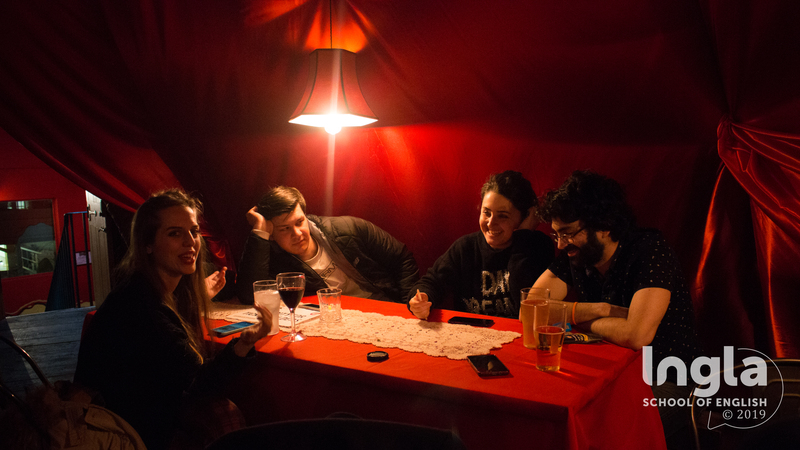 By the end of the evening Inglans left knowing a little bit more about Scottish and British culture. 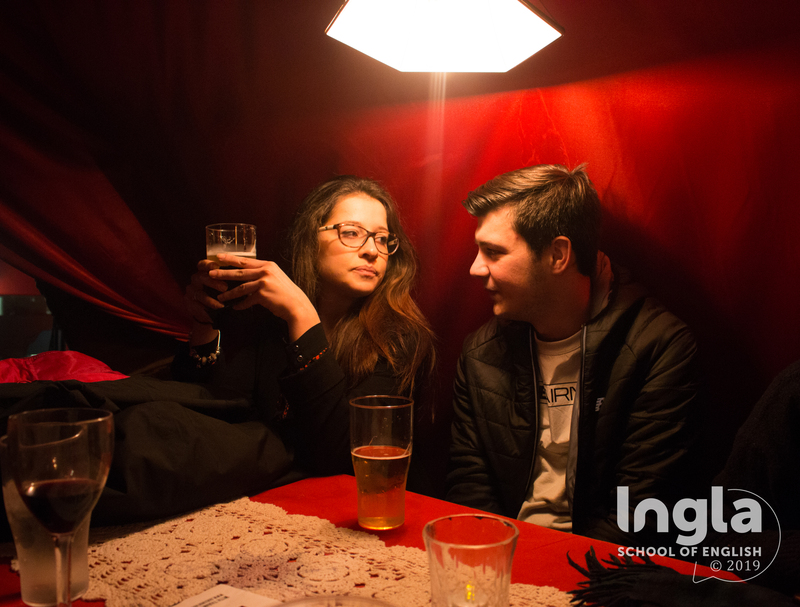 At Ingla, our social programme is about more than just having fun, it’s about enriching our students’ lives and helping them integrate better into British society.